Welcome to Ann's Kooma Love Tarot page. Life's pain and joy we each encounter often contains hardships to overcome in some form or other and yet in my opinion there are no mistakes - just lessons being learned, steering us closer towards our true soul and individual purpose chosen this lifetime. Through my own path of hardships, I have realized a greater energy 'within' and 'without' that is accessible to protect and guide us with absolute resilience even at times when we may feel so empty or lost. I respect each person's differences, free will of choice and beliefs with empathy, compassion and understanding and from having over 15 years guidance counselling experience through channelled thoughts assisted by basic Numerology / Astrology and Tarot to establish influencing cycles / time scales to help clients overcome any obstacles they are currently facing. I respect each person's individual differences, free will of choice and beliefs with empathy, compassion and understanding . I look forward to sharing insight of knowledge we acquire together along our paths in life. Since a small child, my intense curiosity with a natural "feel" for sensing others' true inner loving self, inspires my innate impulse to observe life and continually explore the intuitive and psychic nature which I believe lies within each of us, as an aspect of our intelligence often misunderstood or ignored and yet also a calling from our soul, urging us to evolve and unfold the immense untapped infinite potential available within us all. My passion for using numerology and tarot as intuitive psychic tool began many years ago while living overseas. Originally inspired by a renowned and gifted numerologist mentor and friend, who encouraged me to develop and utilize these gifts by reading for friends which through word of mouth, grew naturally. I have over 18 years international spirit guidance counselling experience through CLAIRAUDIENCE (channelled thoughts) assisted by numerology, basic astrology and tarot for establishing the influencing cycles & time scales to help clients overcome any obstacles they are currently facing. An ongoing appreciation which I receive from clients especially my regular callers, for their acknowledgement of the advice and accuracy provided in my readings, which for me feels very rewarding and enlightening. 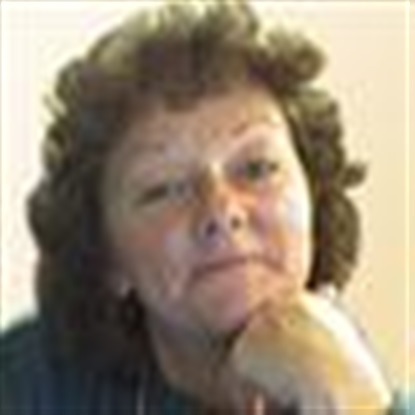 I have been a regular reader for Kooma since Oct. 2008 which I consider to be a leading professional psychic media who treats and protects both readers and clients fairly. The loyalty shown towards me as a reader to date has been exemplary and my knowledge and experience as a reader has grown invaluably. My sincere thanks to Kooma and clients. Love is the powerful energy tool which nurtures life towards vibrancy and wholeness. Love does not wander. We are each always loving something or someone in life because we naturally 'love to love' and the tarot cards reflects this which helps me to unfold the love and fear feelings and circumstances surrounding any love relationship situation in question by callers. Dear Ann, thank you so much for your positive reading and for advice you have given me , will call back soon , thank you once again x.
I am a lifestyle consultant guiding individuals in finding their full potential through enlightenment of the mind, body, heart and soul. Empowering our sacred path. Ranger will call you straight back to save you the hassle of phoning in and choosing them via the menus. The charges for this service are the same as if you call the freephone number.